Well what do you know? Looks like someone got their hands on an early build of Android 2.3 Gingerbread for T-Mobile’s G2x. It’s Chris Ziegler of This is My Next and by the looks of it, there’s not a whole heck of a lot of surprises, but increased enjoyability nonetheless. Have a look and let us know if you’ll be backing out of Cyanogen long enough to get yourself the official real deal Gingerbread when the time comes. As you may already be aware, the G2x comes stocked with Android 2.2 Froyo in a vanilla flavoring. This tasty combination means that aside from a few apps here and there, this version of Android is in the original Google-made state. There’s no custom user interface sitting on top of it – you know what that means? It means a much easier path to getting an update to the next version of Android. 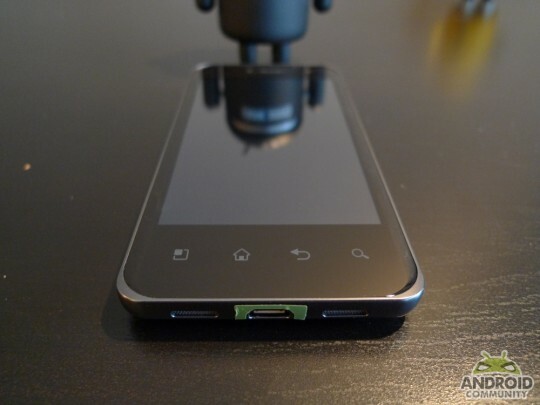 This means that the device will have Android 2.3 Gingerbread sooner than later. • This update will be Android 2.3.3, not Android 2.3.4 with Google Talk Video Calling. • Scrolling and touch sensitivity appear to be notably improved. • Gingerbread UI in menus, status bar, dialer, and in glow at the end of lists – buzz!